You’re a busy entrepreneur with an innovative venture that is making a real impact. But like many impact entrepreneurs you likely face questions and challenges in the capital-raising process. Many get the wrong kind of capital at the wrong time. The wrong capital for your business is “dumb money” – it can keep you and your impact enterprise from reaching your goals. 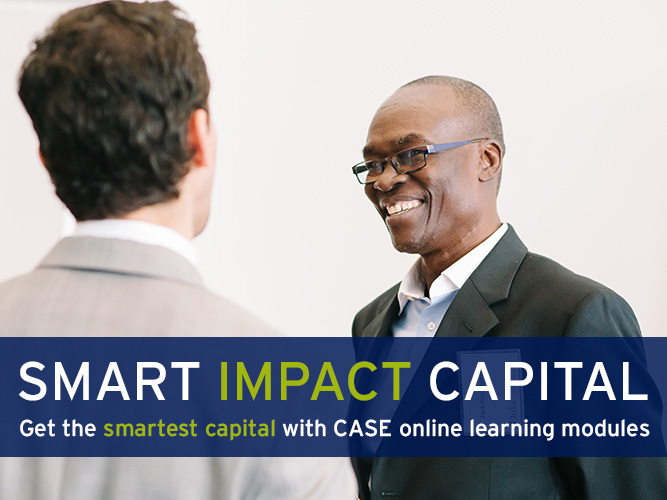 Here at CASE we’re excited to announce that we’re crafting a series of online learning modules for such impact entrepreneurs wanting to avoid the common pitfalls on the road to raising capital that’s smart for their business growth. We are also allowing impact ventures, impact investors, and intermediaries to register for access to our exclusive beta test of Smart Impact Capital modules. Through interviews with hundreds of investors and entrepreneurs and lessons learned with the Social Entrepreneurship Accelerator at Duke (SEAD)’s entrepreneurs, who have collectively raised nearly $30 million in capital in the past three years, we are developing bite-size lessons and shortcuts to help impact entrepreneurs raise capital smartly. Smart Impact Capital will be a series of entrepreneur-friendly online training modules comprised of short video clips, interviews with entrepreneurs and investors, tools, and shortcuts to arm impact entrepreneurs with the right amount of information to raise smart capital. Knowing the fast-paced and evolving environment in which impact entrepreneurs operate, we’ve designed the modules to allow users the freedom to move through topics as needed. An example from one of the Smart Impact Capital modules. A potential investor signals interest in you? You can learn how to determine if the investor is a good fit. Not sure your investment strategy is working? You can learn how to clearly articulate your strategy and key milestones to investors. Unclear about the impact different types of capital will have on your business? You can model them through our scenario-planner. In total, we’re designing nine modules grouped into three main categories: Custom-Build Your Investment Model, Develop Your Capital-Raising Strategy, and Manage Relationships with Investors. Those participating in our beta test will receive free, early access to two of the modules: Articulating Strategy to Impact Investors and Calculating Your Funding Gap: Financial Projections I. 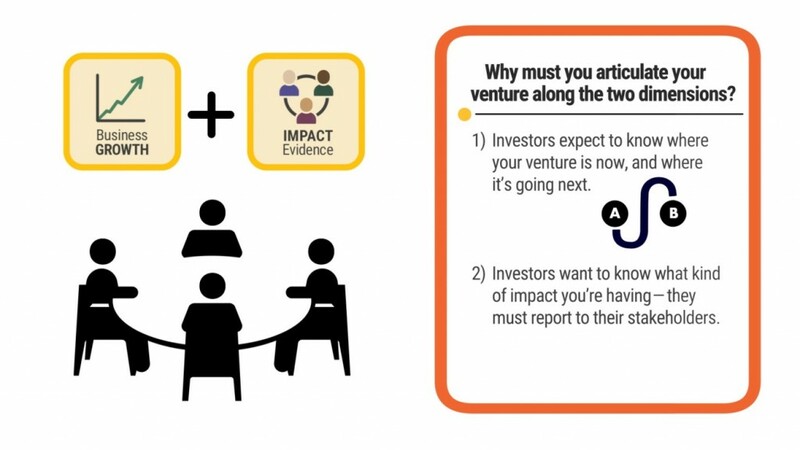 How do I register for the Smart Impact Capital beta test? Between mid-October and mid-December 2015, CASE will be beta testing two of the nine modules. As part of the beta test, CASE will be offering FREE access to these modules, which contain approximately four hours total of training and active work. If you are interested to participate in the beta test and provide feedback on the modules, please register by October 10th. For maximum benefit, participating ventures should be mid-stage enterprises with a revenue model and some traction with customers and/or revenues and looking to raise (or in the process of raising) investment capital. For any questions, contact us here. Smart Impact Capital is funded by Duke and through the USAID-funded Social Entrepreneurship Accelerator at Duke. The Center for the Advancement of Social Entrepreneurship (CASE) prepares leaders and organizations with the business skills needed to achieve lasting social change.